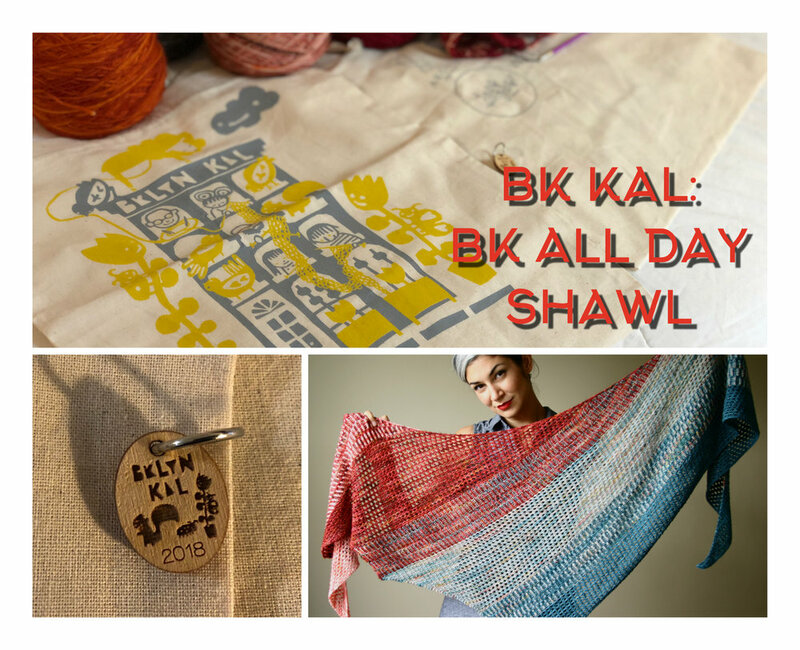 Join us for the weekly meet ups to sit/ sip/ knit and discuss the BK All Day Shawl. The dates and locations are listed below. Come to one or come to all!